Meet a LEGEND at Hastings in Dyersburg! Superstar Saturday! 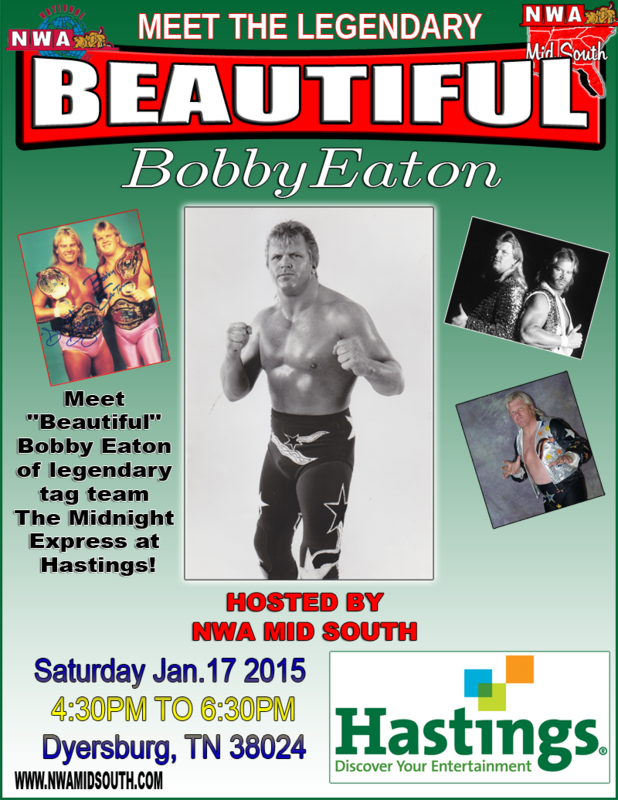 Featuring SUPERSTAR BILL DUNDEE! "Superstar" Bill Dundee is inducted into the NWA Mid South Hall of Champions and answers the challenge of "Drop Dead" Dale Wylde. 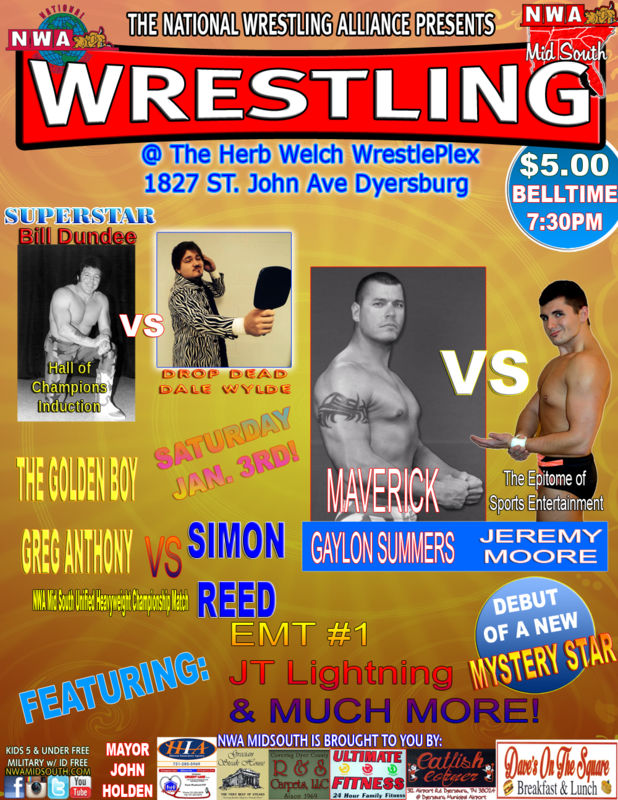 "Maverick" Gaylon Summers will be taking on Jeremy Moore! 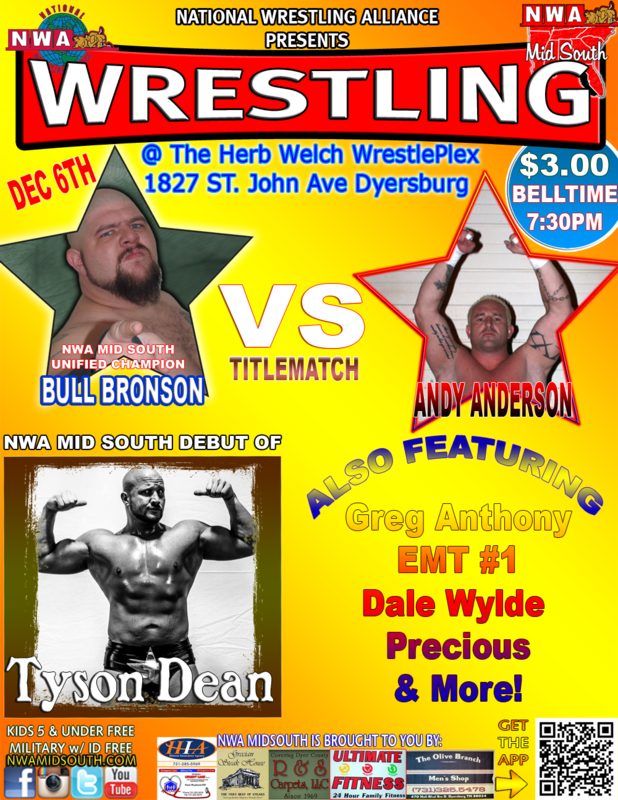 Plus "The Golden Boy" Greg Anthony defends his championship against Simon Reed! We will also be naming the 2014 Wrestler of the Year, Tag Team of the Year and Rookie of the Year. DEC 6th! 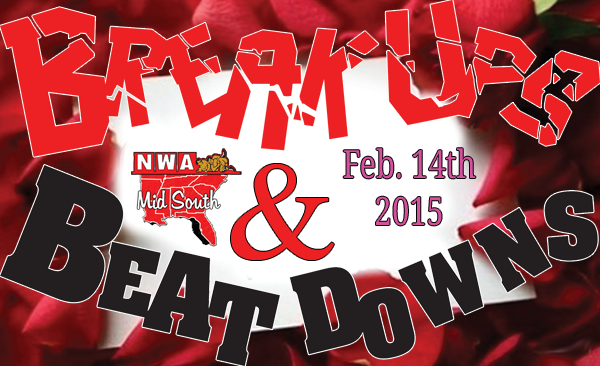 3.00 Admission for a TITLEMATCH!